Blue Pond Liner - 25' x 30' in 30-mil Blue PVC for Koi Ponds, Streams, Fountains and Water Gardens | Fountain City Art Ctr. 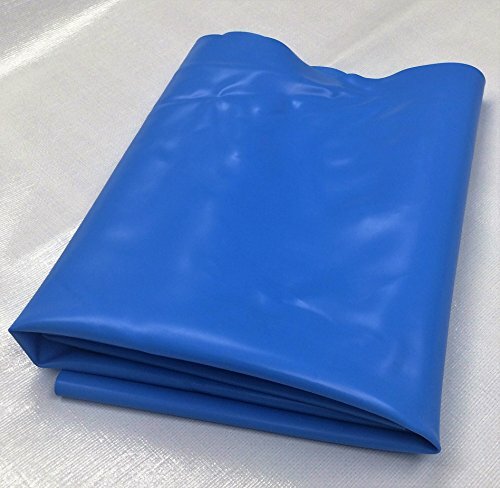 The liner is 30-mils thick and comes in a pleasing blue color. PVC pond liners are extremely flexible and are a great choice for conforming to tricky pond contours. Our liners are formulated for this application making them both fish and plant friendly. We always suggest that you cover any exposed surfaces to prevent them from coming in direct contact with UV rays. Note: All of our liners are made-to-order and most sizes do require us to weld multiple panels together but rest assured, our Quality Team checks every weld before we package the finished product.